I included this map from a Brookings.edu article in a story I posted here in May 2015. 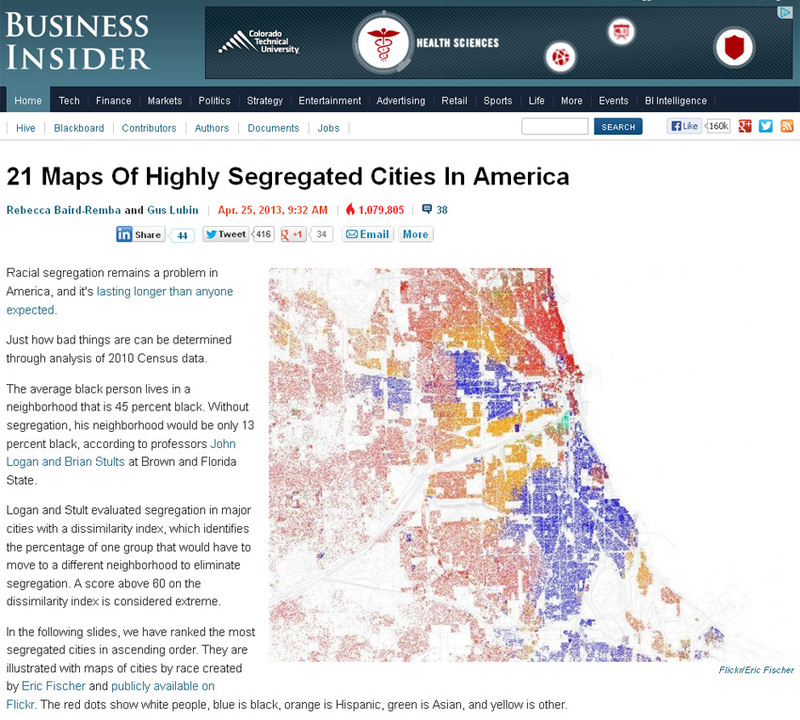 Today I received another article from Brookings,edu, under the headline "The Most American City: Chicago, race and inequality". I have started using an annotation tool to highlight and comment on articles like this. Here's the link to the annotated version. 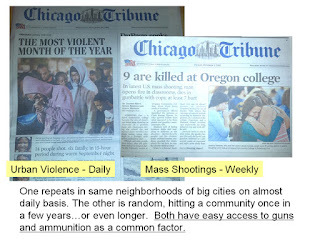 The writer finises with a comment saying, "The broader tragedy of Baltimore, of Ferguson, of Chicago, is that black and Hispanic Americans in the poorest areas of our cities have such bleak prospects. The danger is that once the media bandwagon has moved on, these structural inequalities will remain." 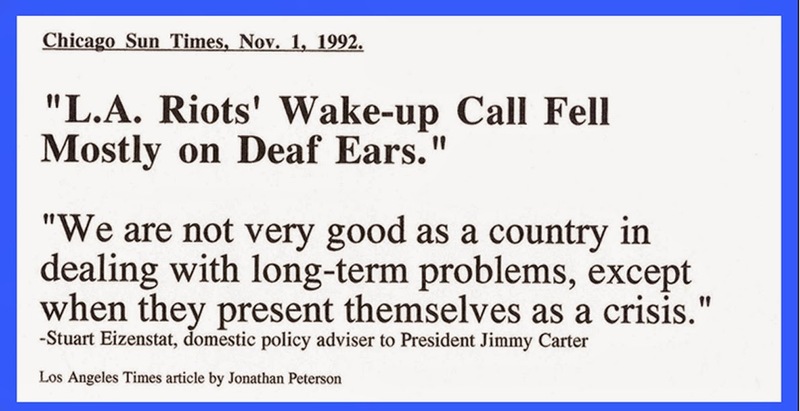 The strategies I've launched since 1993, through the Tutor/Mentor Connection, have aimed to keep attention focused on issues like this, even when the media are not paying attention. Read stories on this blog and the Tutor/Mentor Institute, LLC blog, to see how I've been doing that for the past 10 years. 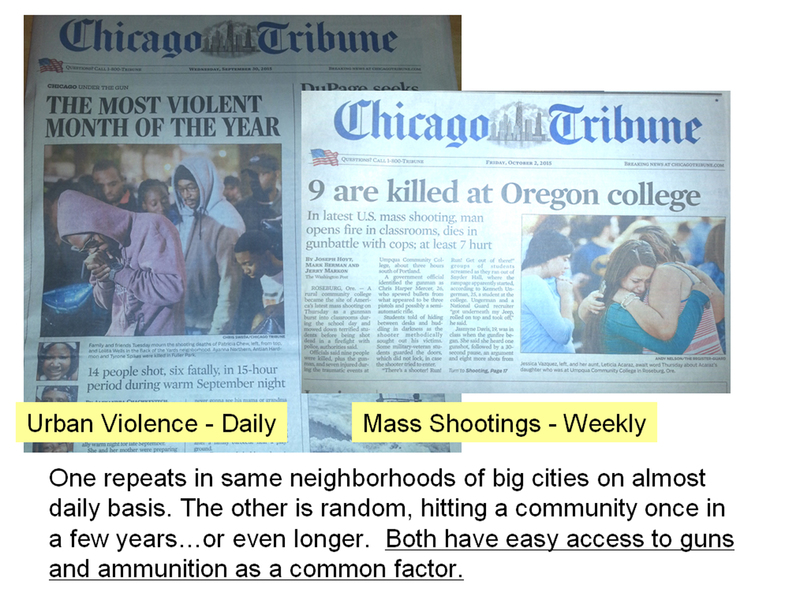 Crain's has been running a series of articles under the headline of "Five Big Ideas for Chicago's Troubled Schools". 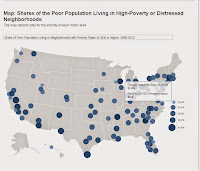 Day four article includes an interactive map showing location of different types of high schools, overlaid on poverty demographics. Click on each dot on the map to see the identity of the school, graduation rate, ACT school and number of students enrolled. 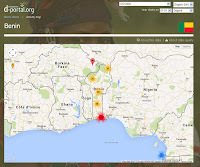 Browse the map stories I've posted since 2008 and see how I've been trying to develop an interactive mapping platform that supports leadership planning and volunteer involvement. I keep looking for partners and volunteers to help me keep my sites working, and to upgrade them and teach more people to use them. The Foundation Center has been doing some amazing analysis of philanthropic giving. This article talks about funding of technology for non profits that focus on democracy. 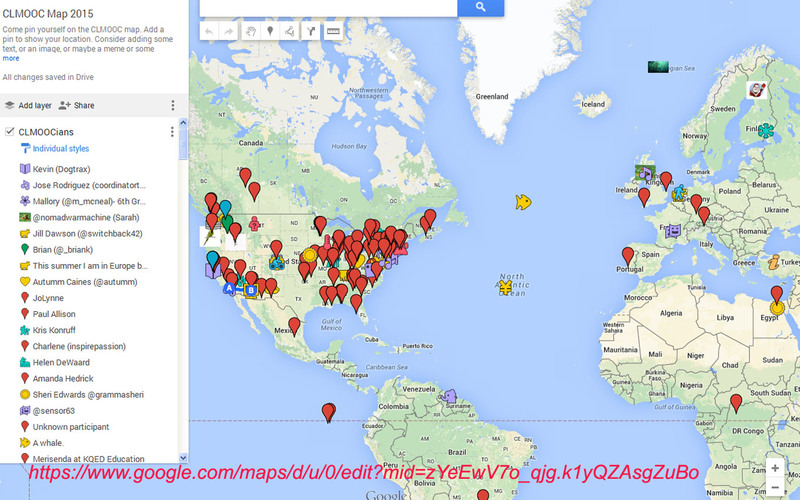 I've signed up to participate in the 2015 Connected Learning MOOC (#CLMOOC2015) and added myself to their participation map. You can zoom into this map to see who is participating from different parts of the world. 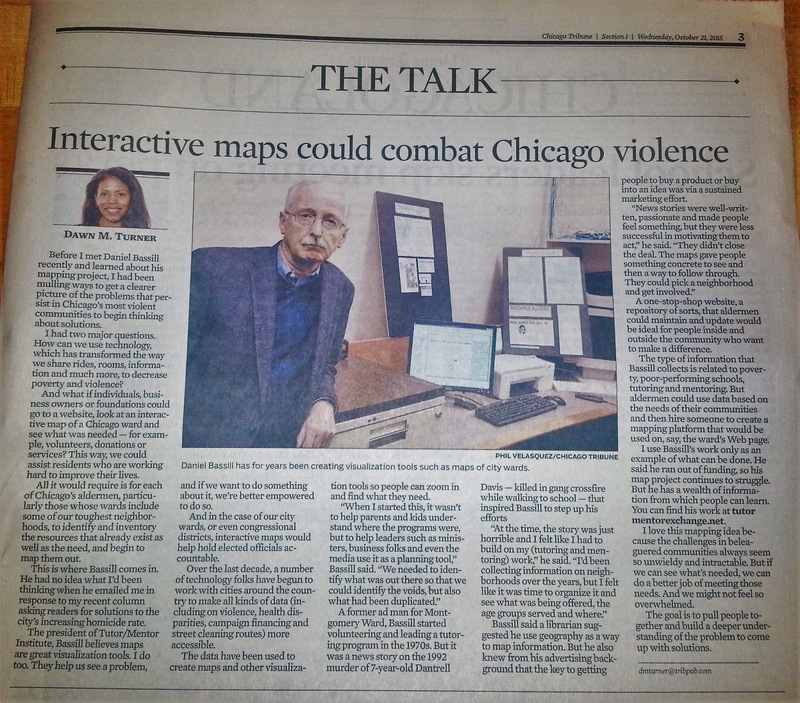 I zoom into Chicago with the hope of seeing more than a few people on the map who might be taking advantage of this learning and networking opportunity. Since 2013 I've been participating in MOOCs like this, and sharing the idea of mapping participation. 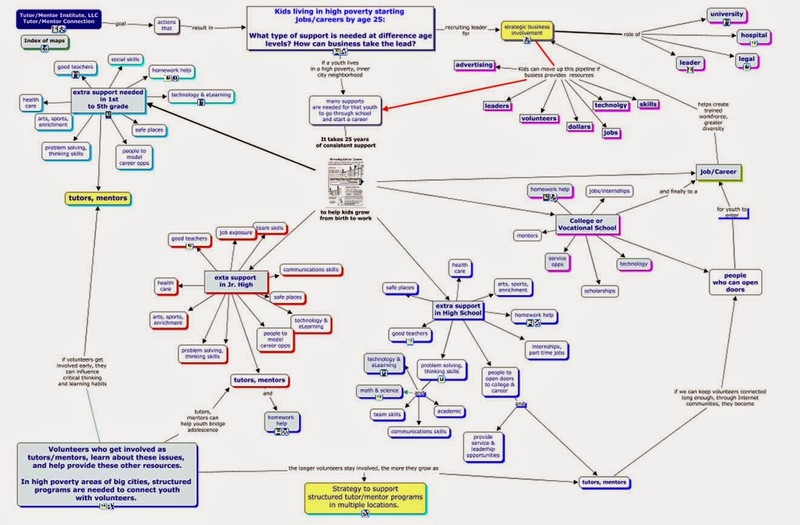 The map at the left is from a Deeper Learning MOOC. 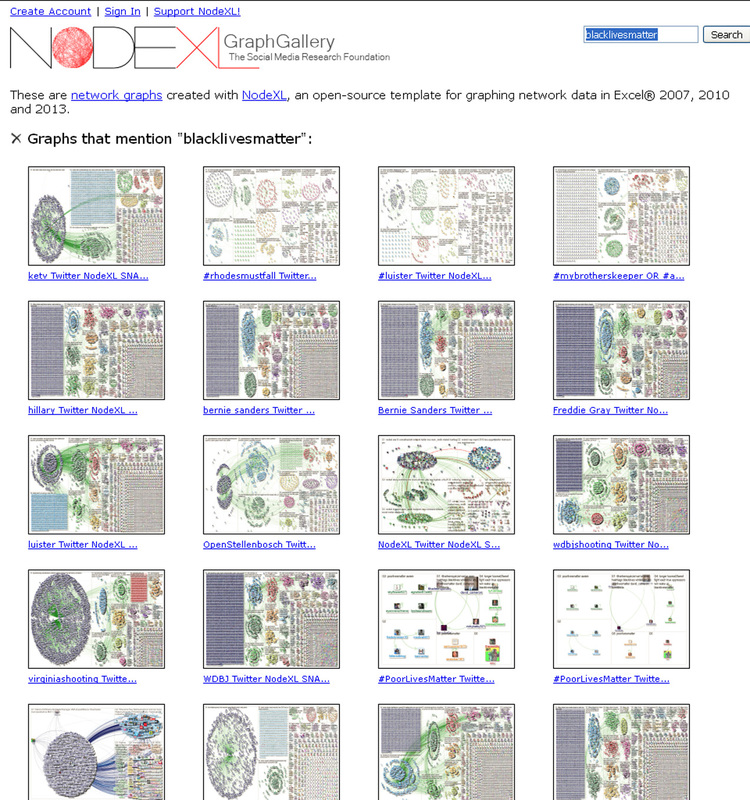 It's on a different mapping platform than the #CLMOOC, but it works the same way. Zoom in to see who is participating. Again, too few people from the Chicago region. I've been hosting Tutor/Mentor Conference in Chicago as part of an overall strategy aimed at bringing people together who would work to help mentor-rich non-school tutor/mentor programs become available in more of the high poverty neighborhoods of Chicago. 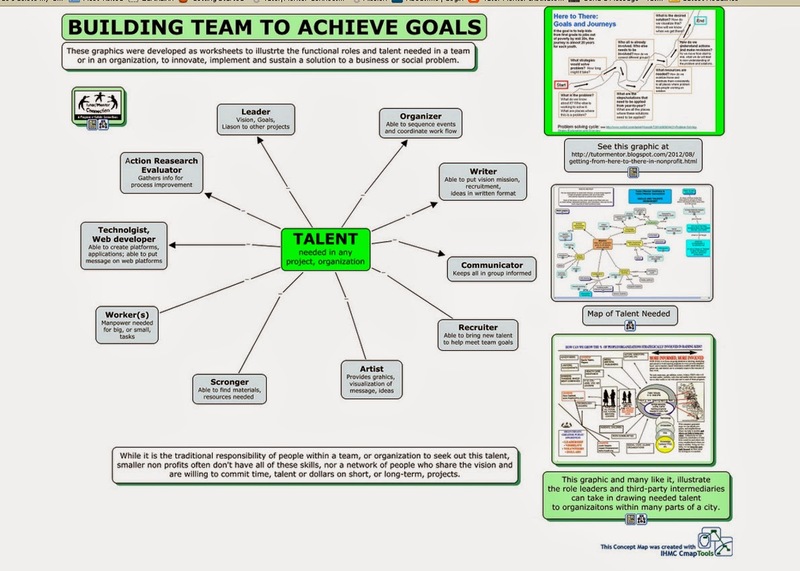 I've created concept maps to show the range of talent needed to achieve the goals I've stated. In recent years I've used maps to show participation of past conferences. Click here to see these. 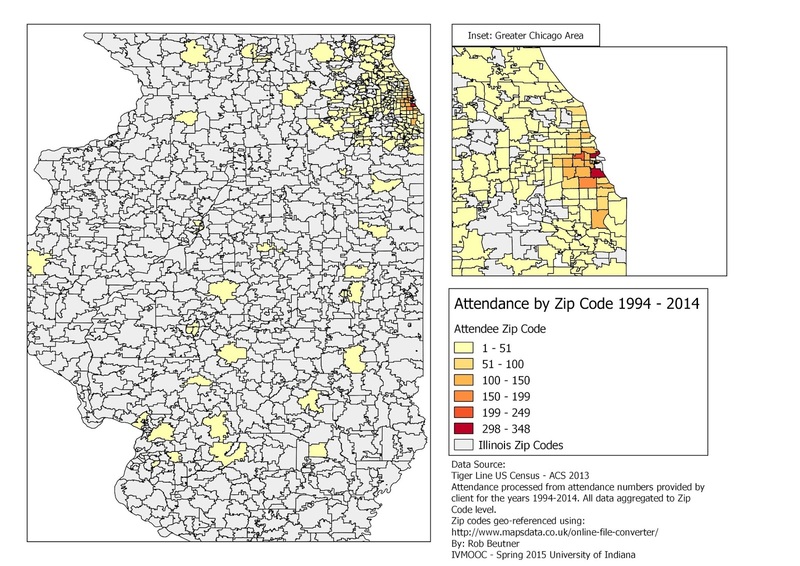 During Jan-April 2015 students participating in an Information Visualization MOOC hosted by Indiana University looked at participation for all T/MC conferences from 1994-2011 and began creating some participation maps. Click here to read the story and see the report produced by this team. In the past couple of weeks I've participated in events that connect people from around the world, and throughout the US, via Twitter and live streaming video, and traditional face-to-face settings. These included the Global Cities Summit and the Independent Sectors Threads events. As I've participated in these events, now, and in past years, my first question is "Why aren't they mapping participation" using GIS maps and Social Network Analysis? My second question is, "How could we influence more people to do this?" In many of these there is a lot of talk about collaboration, sharing ideas, and working together to solve problems. Yet, when I visit most web sites, the information they share is usually the information they produce. 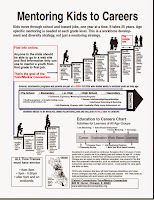 Few point to information of others, such as I do from Tutor/Mentor Connection and Tutor/Mentor Institute, LLC web sites. 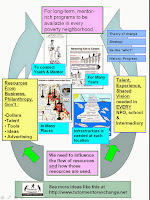 I created a new concept map today, pointing to organizations who are mapping data to show indicators of need. Creating a visual understanding of where poverty is most concentrated, or where water is most scarce, can help mobilize attention and focus more people on possible solutions. 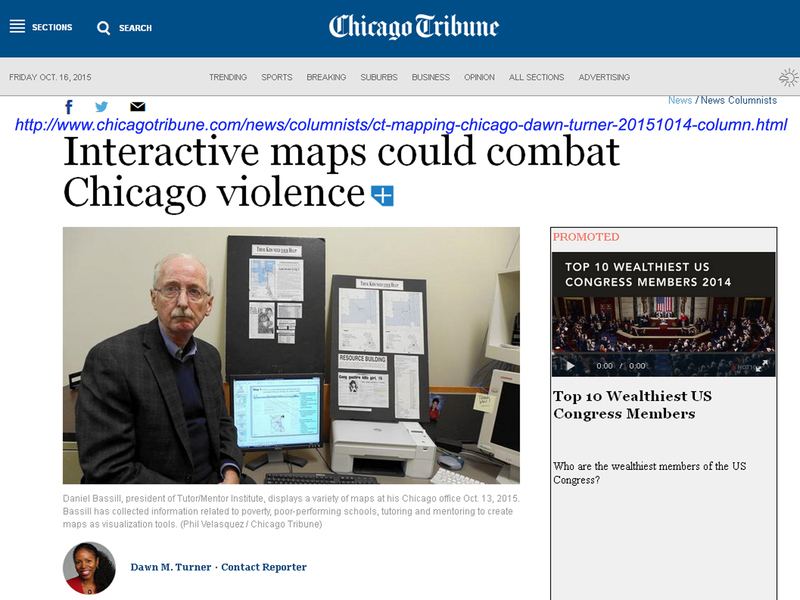 Instead of just pointing to your own maps, why not point to maps and data available on dozens of other platforms. That's what I do. 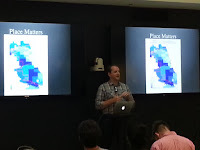 Drawing more users to these data sites, and teaching more people to create map stories that increase understanding and expand the number of people involved, should be a strategy of all of these different organizations. 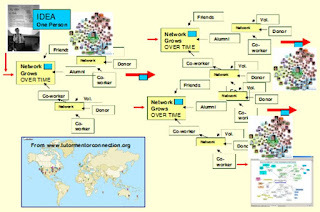 Using maps to show who is participating, how often they participate, and who is still absent from the conversation, could be part of a long-term coalition-building strategy intended to draw more of the talent and networks needed to raise funds, increase votes and build and sustain solutions in the different areas that maps highlight as areas of need. Mapping Foreign Aid. Who Gives? Who Gets? 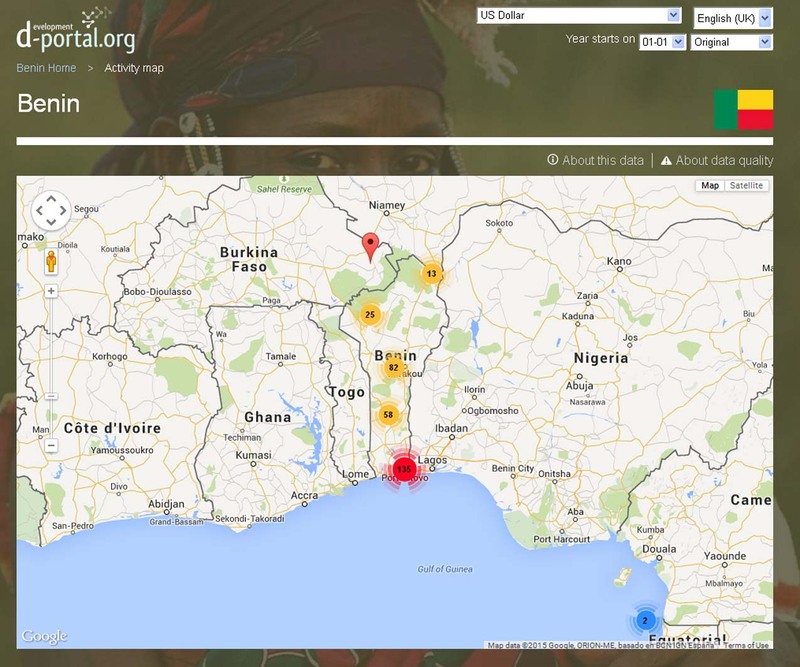 This map is from a data platform called d-portal.org, which is collecting and mapping data on foreign aid given by US and other countries. This article on FastCompany.com provides an introduction. 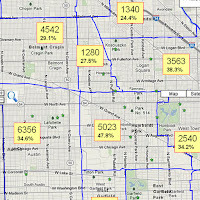 This is an exciting use of data and mapping. I'd like to see someone build a tool that offers the same features, but maps cities throughout the US and shows aid to poverty neighborhoods. 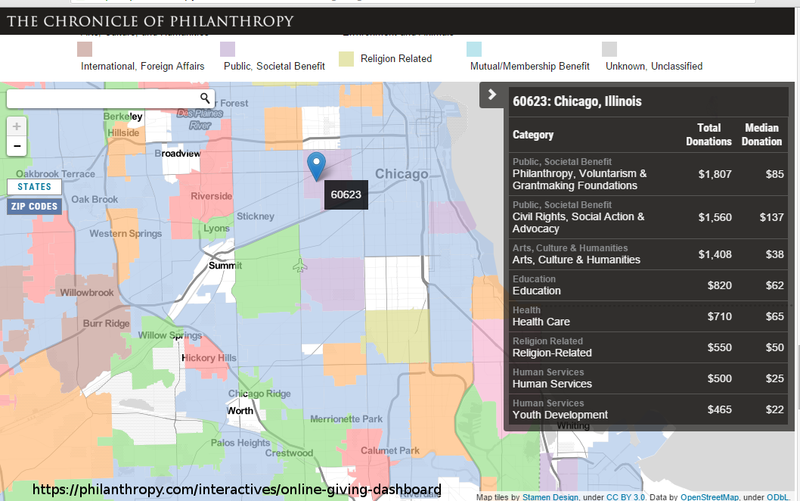 Click on the Philanthropy tag and see some sites I've pointed to who are beginning to do work mapping donations in the US. 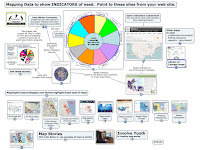 Visit the Tutor/Mentor Institute wiki section on uses of maps. If you're interested in supporting our own goals, let's connect. Big City Poverty - Baltimore not Alone. This image is from this Brookings report article, titled "Good fortune, dire poverty, and inequality in Baltimore: An American story". 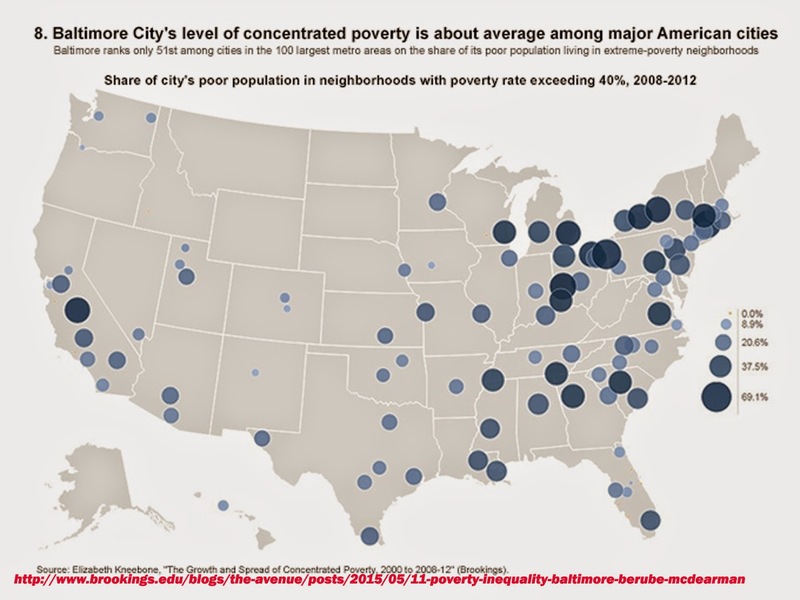 It shows that the conditions of inequality and concentrated poverty that contributed to the Baltimore riots this spring are present in many major US cities. 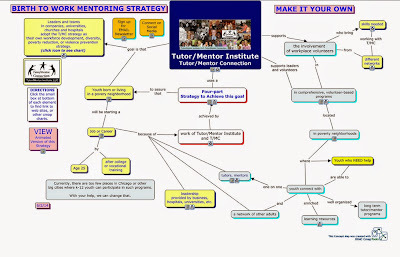 To me, this means each city should have a Tutor/Mentor Connection strategy, which is outlined in the concept maps shared in articles on this blog, and on pages of the Tutor/Mentor Institute, LLC web site. 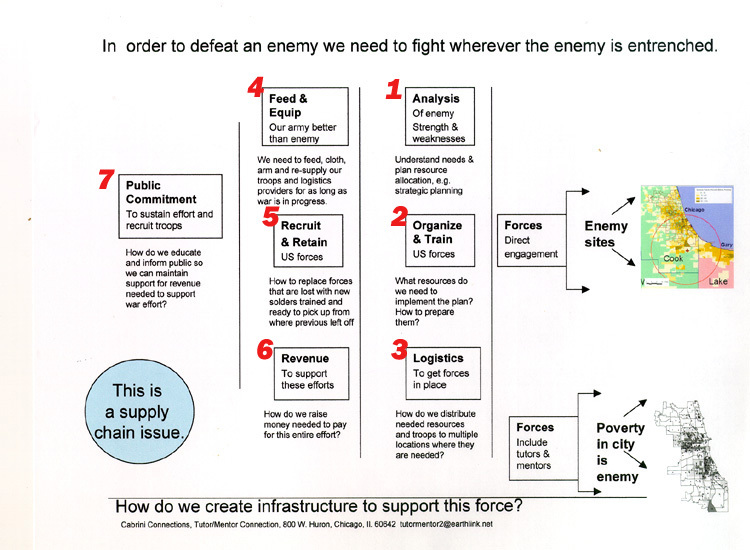 This map shows a long-term commitment every leader in a city needs to adopt, and demonstrate in their actions. 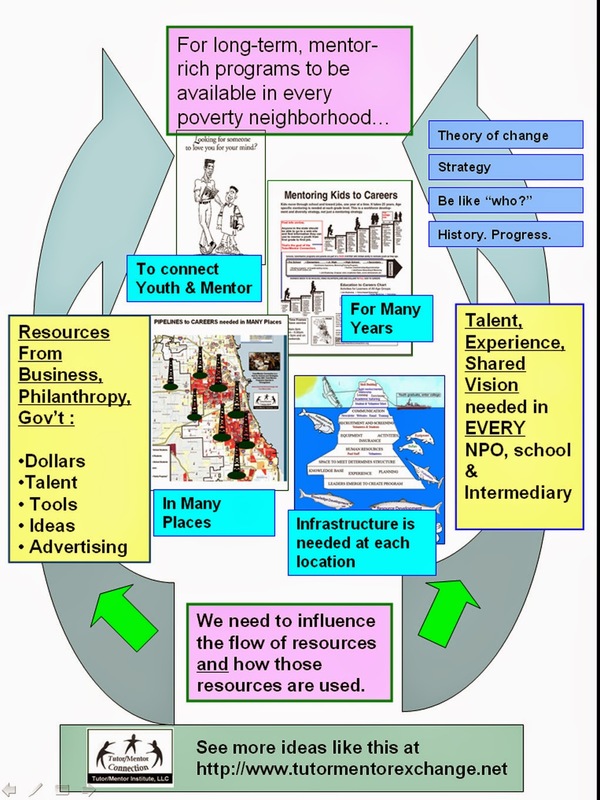 If you follow the lines on the concept map, the line in the center points to this four-part strategy, which supports the involvement of leaders with information they can use to reach youth and families in all high poverty areas of any city. Solving Poverty. Who Needs to Be Involved? If you're trying to build a team to solve a problem, you need to attract people who have the talent and skills needed, or who can recruit others who have needed skills. 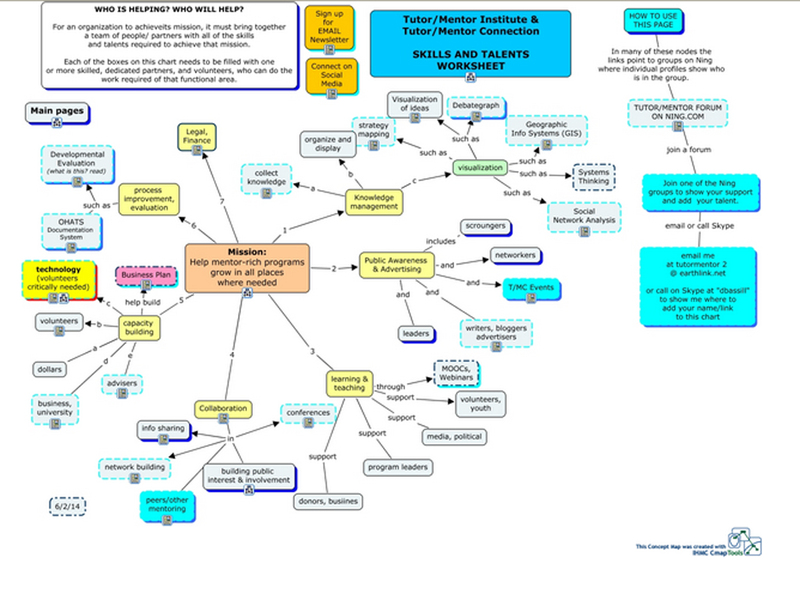 I've created concept maps and visualizations such as the one at the left to serve as a worksheet that I and others can use to recruit needed talent. Building this team requires a constant process of invitation, via social media, newsletters, one-on-one networking, etc. Unless you are able to fill key talent roles, you end up doing necessary work on your own. If you don't have needed talents, you struggle. 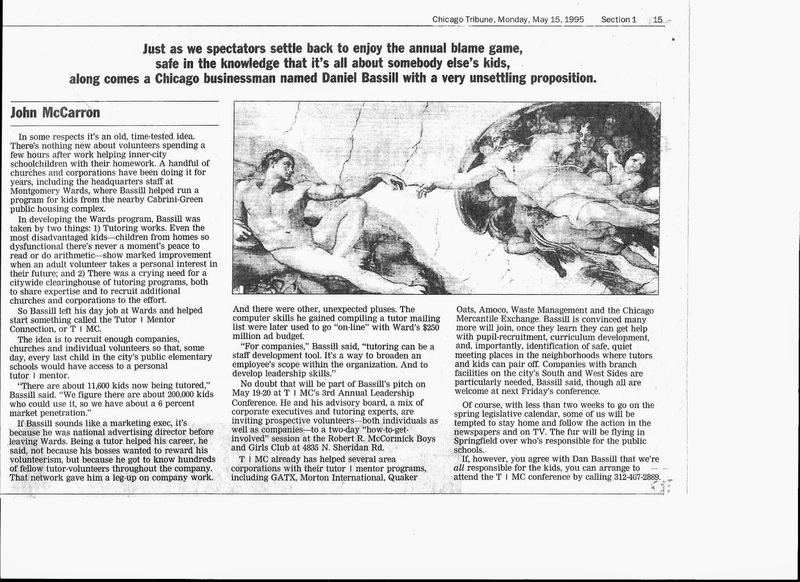 I've hosted Tutor/Mentor Leadership and Networking Conferences in Chicago, every six months since May 1994. The goal is to attract people with talent, skills and civic reach who will help volunteer-based tutor/mentor programs grow in all high poverty neighborhoods, as part of their own commitment to reduce poverty, improve opportunity, fill workforce needs, etc. 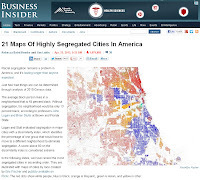 See how maps can be used by reading other articles on this blog. In an effort to help people who attend connect with each other I launched an on-line attendee list in 2007. I started using GIS maps a couple of years ago to show where people came from, and what group they were part of (business, philanthropy, programs, etc.) 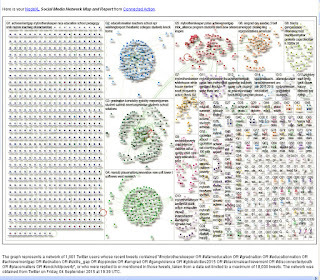 In 2010 an intern from DePaul University use a Social Network Analysis (SNA) tool to create maps showing participation in 2008 and 2009 conferences. You can read her map-stories here. 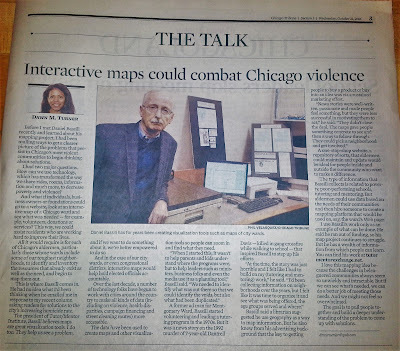 I've not had consistent talent to do this work so was delighted when invited to be a client for a 2015 Information Visualization MOOC hosted by Indiana University. The team has finished their work and this is one visualization that was created. You can see it and other visualizations in this final report. 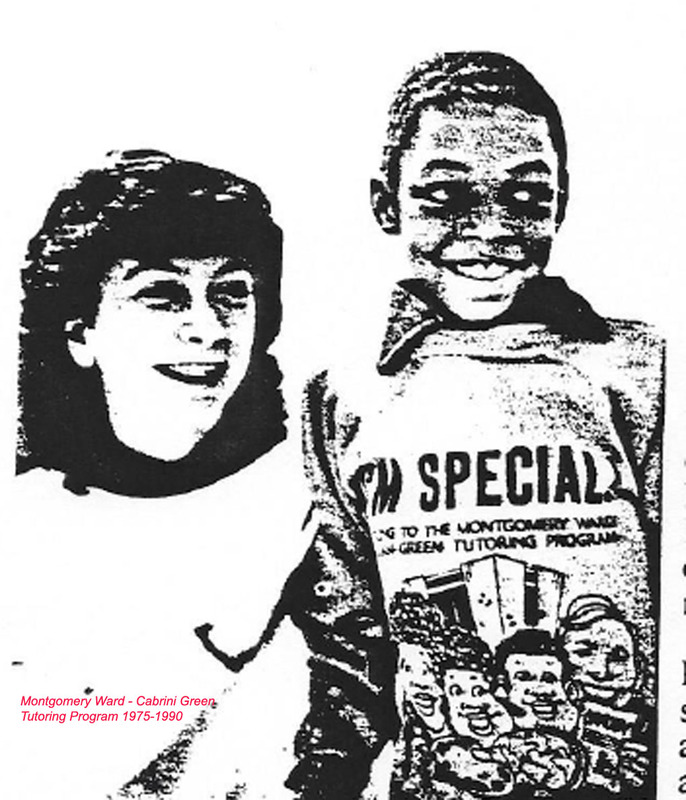 I encourage you to visit this page on the Tutor/Mentor Connection forum to learn more of this project and see work that was done. Why is this important? As a nation we are not very good at pulling people together and building a long-term focus on solving complex problems. Read more. While my organization has always been small, it's even smaller since 2011. Thus, the few people I can gather at Tutor/Mentor Conferences are a small sample of the talent and networks who need to be supporting the growth of mentor rich programs in all poverty neighborhoods of the Chicago region (or other cities), and helping kids in these programs move through school and into jobs. 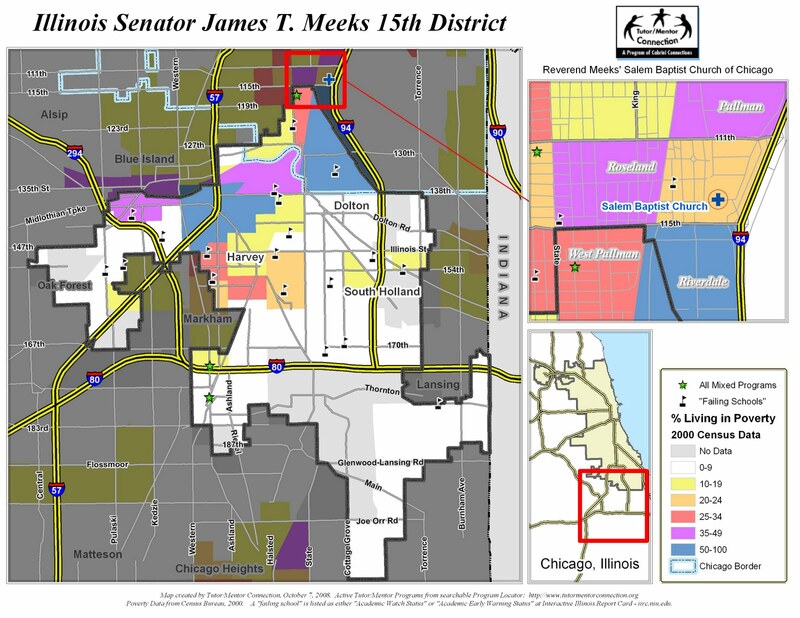 My goal is that organizers of other events focused on the same issues begin to follow my example, and create maps that show who's participating, what neighborhoods are represented, and who else needs to be involved. If you're already doing this, share your maps; connect your network. By mapping participation over many years, which is what I'm trying to show since I've been hosting conferences since 1994, we should be able to show if people are staying involved, or if involvement grows over time. This information should lead to more support for those who do this well, and more lessons for others who need to do it well. My next conference is Friday, May 8 and it will have a small turnout.. unless readers share this and encourage others to attend. If you'd like to work with the same data the IVMOOC students were working with, and create more maps and analysis of the Tutor/Mentor Conferences, please contact me. Visit the Tutor/Mentor Institute Blog and read more about network building, complex problem solving, etc. 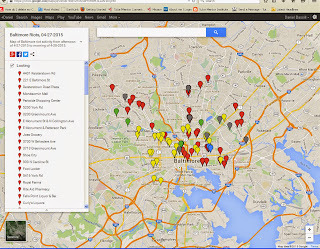 It was easy for me to do a Google search and find a map showing the widespread rioting in Baltimore. 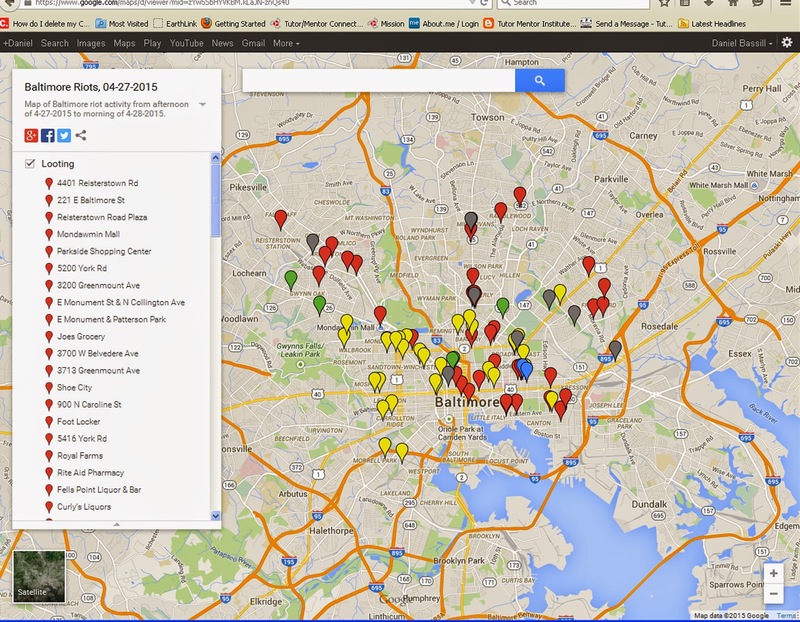 I did a search to find a map showing tutor/mentor programs in Baltimore, and while I found program lists hosted by Johns Hopkins University and by the Montgomery County Network of Care, I did not see a map showing where existing programs are located, or being used to mobilize leaders to help mentor-rich programs grow in all high poverty areas of the region. 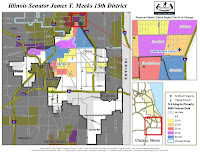 I posted a blog article this morning showing how cities like Chicago and probably others have never had a comprehensive battle plan to distribute programs, resources and opportunities into the high poverty areas of their cities. I also focused on this in the eMail newsletter I shared today. I've been piloting a map-based tutor/mentor program locator since 2004, which not only shows where existing tutor/mentor programs are located, but breaks this down by age group served, and type of program. 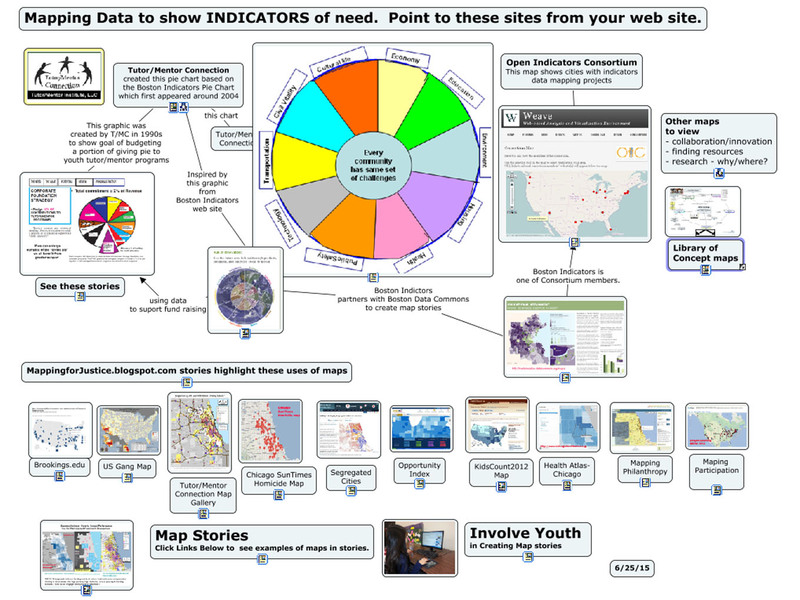 It also includes layers of information showing indicators of need, such as poverty and poorly performing schools. And it shows who should be helping (assets), such as banks, churches, universities, etc. 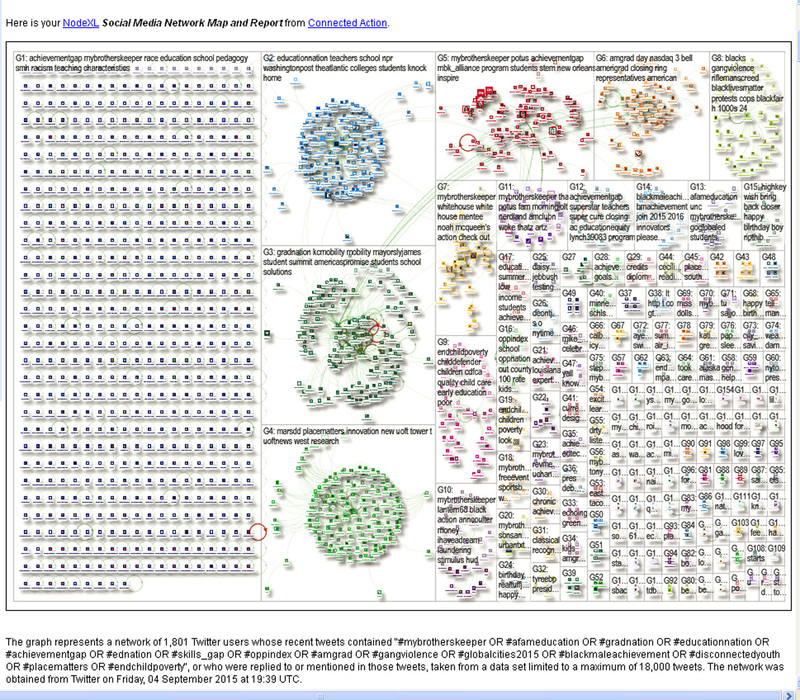 It even has layers showing political districts. 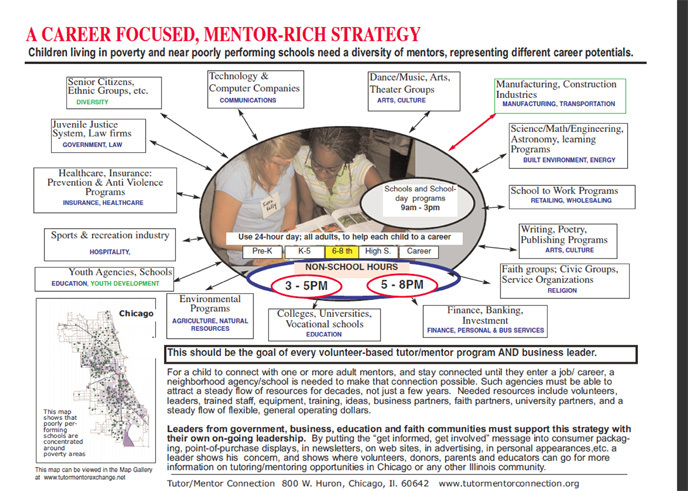 I posted this 1998 presentation on Slideshare this week, showing work I've been trying to do in Chicago to support the growth of mentor-rich programs in all high poverty neighborhood. The map-directory is just one part of a comprehensive on-going strategy....which never has been consistently funded or supported by civic leaders in Chicago. I encourage leaders in other cities to consider this as a NEW idea which they could implement with much greater impact than I've had in Chicago. I'd also like to find volunteers, partners and benefactors who'd help me upgrade the program locator and other projects I'm working on. I noticed that Johns Hopkins University Hospital is in the middle of the riot area. 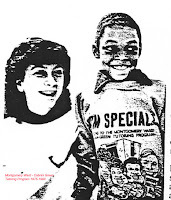 In the 1990s they were the lead hospital in a Hospital Youth Mentoring Network. I attended a conference they hosted in 2002 and they attended the Tutor/Mentor Conference a year earlier. I'd like to connect with someone who'd bring the Tutor/Mentor Institute into the university, where the ideas I've been building for over 40 years can be taught to a generation of future leaders. 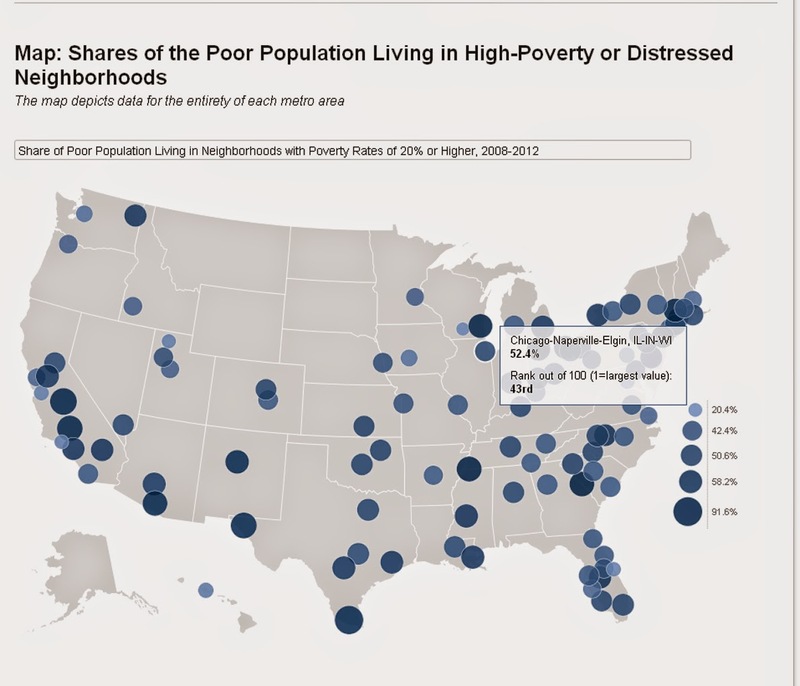 This map is from a Brookings.edu 2014 research brief, titled "The Growth and Spread of Concentrated Poverty, 2000 to 2008-2012". Every circle on the map represents a community that could adopt the Tutor/Mentor Connection strategy, supported by the Tutor/Mentor Institute, LLC. 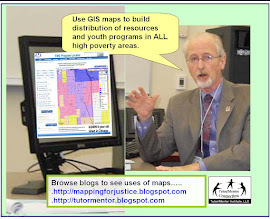 One of the goals of this blog is to showcase innovative uses of maps which could be duplicated in efforts to support the growth of youth tutor, mentor and learning programs in high poverty areas. 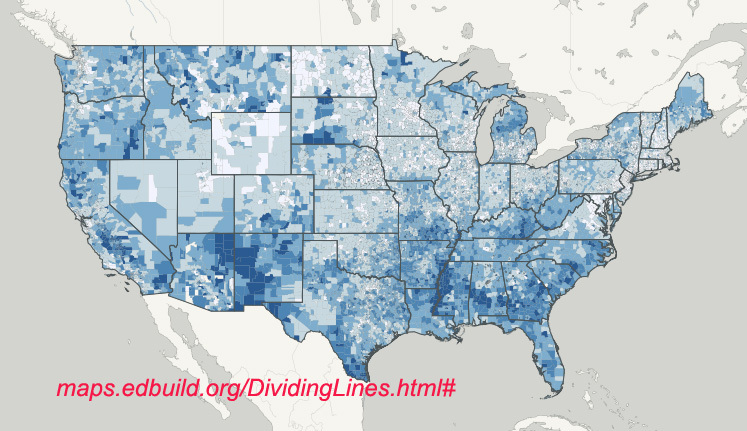 Visit this link and browse the Feeding America site and Food Insecurity map. 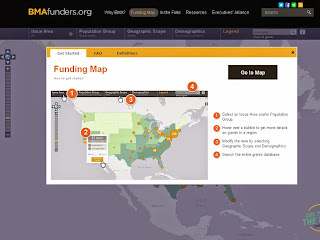 Black Male Achievement Funders Map - Excellent! 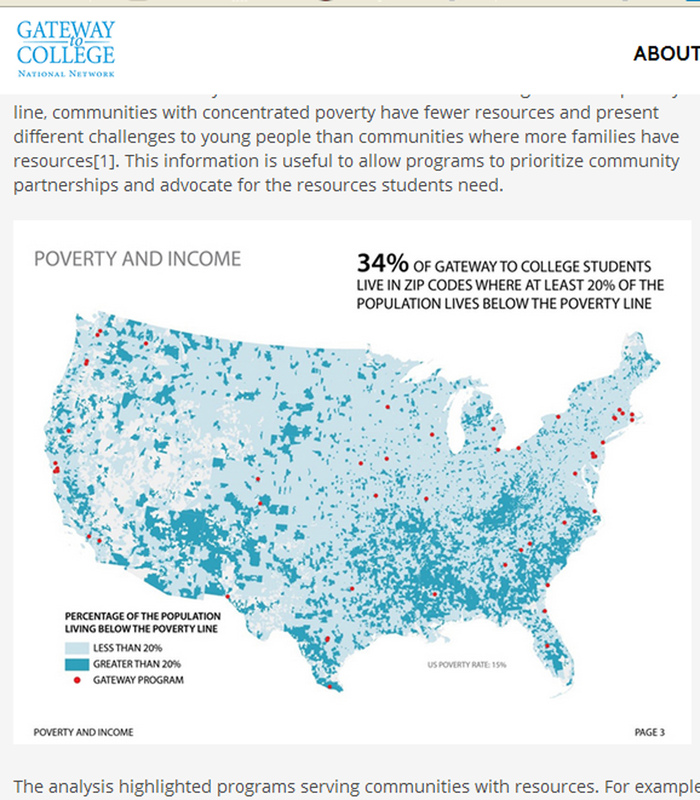 If you browse articles on this blog and the Tutor/Mentor Institute, LLC blog, I've posted maps that show where volunteer-based tutor/mentor programs and other forms of learning support are needed, based on data like poverty, poorly performing schools, violence and health indicators. In a few articles I've indicated a need for maps showing where funding was being distributed, so more organizations and activists could use that information to encourage continued funding where it is now landing, but to increase funding in areas where more, or better, tutor/mentor programs are needed. Thus I'm really pleased to encourage you to look at the Funders Map posted on the BMAfunders.org web site. BMA seeks to support organizations that offer Black men and boys in the U.S. greater access to the structural supports and opportunities needed to thrive. 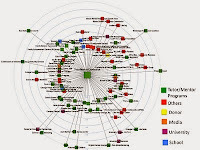 Thus, this map focuses on funding of those types of organizations. I encourage you to browse the map and learn to use it. Read this Forbes article to learn more about funding of BMA programs. 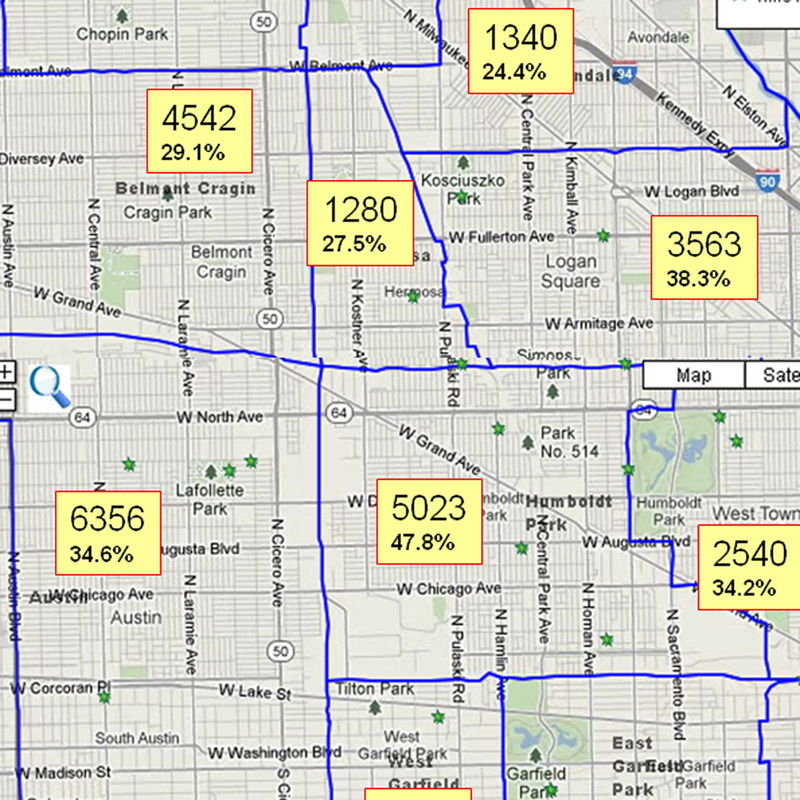 If you zoom in you'll see grants distributed in some neighborhoods but not available in others. 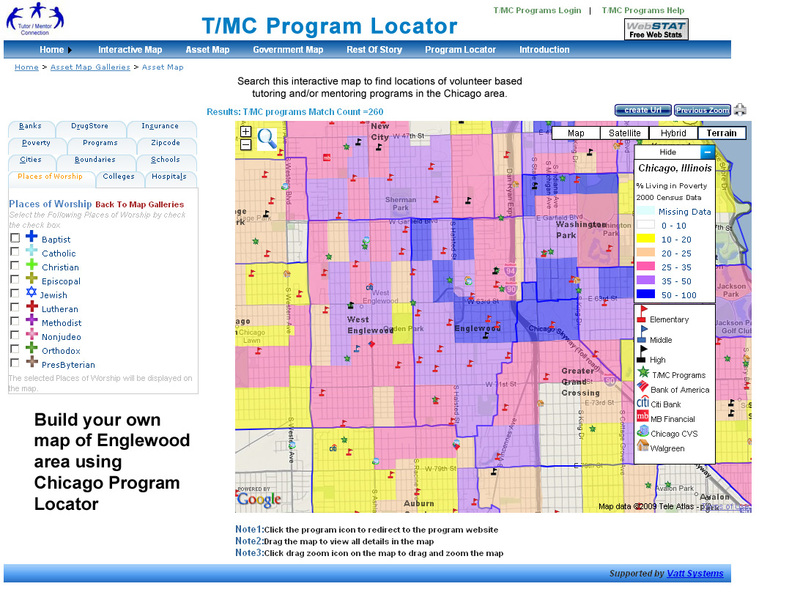 I'm not sure if this platform yet has the functionality of the Tutor/Mentor Program Locator, which enables map views (see right) to be created that show existing tutor/mentor programs in high poverty area. However it has a level of visual excellence that the Program Locator does not have and it has captured donor information, which the Program Locator does not do. In the Forbes.com article is this quote: "George Soros, founder of Open Society Foundations, noted in the 2012 report, “this is a generational problem. It demands a long-term commitment.” I'd like to see an army of "story tellers" using this platform to educate donors and policy makers so the commitment and flexible operating funds are continued for a decade or two, and extended to every high poverty neighborhood (and to other minorities and girls). What I feel needs to be created are a set of maps. First, concept maps need to be created that show the supports youth in poverty need as they move from pre school to jobs and careers. This map is an example. 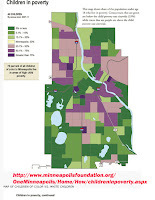 Depending on the level of poverty, segregation and isolation in a neighborhood a child will need more or less of the supports shown on this map, and they need them starting at preschool. 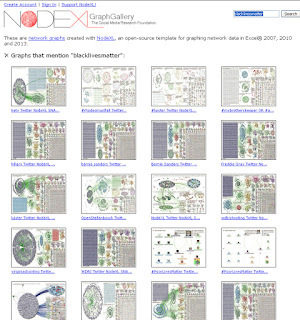 The nodes on this map have the ability to link to web libraries which contain links to web sites related to each node. Thus, people interested in learning about technology programs focused on middle school youth should be able to look at web sites of organizations already doing that work, or showing who funds that work. If the blueprint shows the types of youth serving organizations needed at each age level,the map should show organizations doing that work, and what neighborhoods they serve. 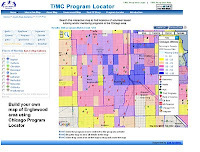 Thus, if tutor/mentor programs for middle school kids are important, you should be able to search the map to see if such programs are available in all high poverty neighborhoods, and if the are being funded by multiple donors. You should also be able to look at program web sites and see blueprints like the one above, with highlighted areas showing what part of the work each organization is doing. 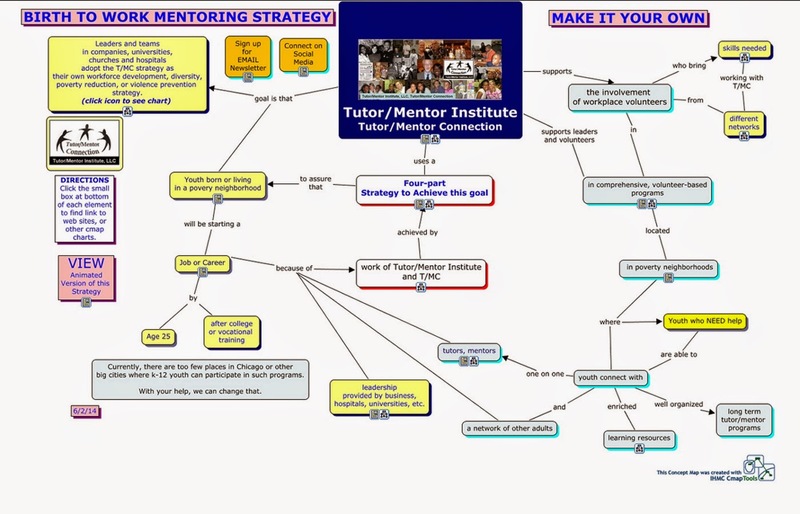 The Tutor/Mentor Program Locator was designed with this level of functionality. Thus you can look at layers of information, showing locations of various types of tutor/mentor programs, by elementary school, middle school and high school service levels. I've not had funds to update the Program Locator's technology or data since 2009, yet it still represents a useful resource. I was able to create these map stories, using it. However, unless I can find partners and resources to improve the technology experience, and update the data, this will become a great vision, but useless tool. I've reached out to BMA and similar groups to introduce my work, and to invite partnership. This has not yet led to anything where I could say "my ideas are included in their work" and their "network is supporting my work". I'll keep trying. I'll also keep pointing to good work being done by others. This map is one of a series of maps showing poverty in Illinois, and showing locations of colleges. 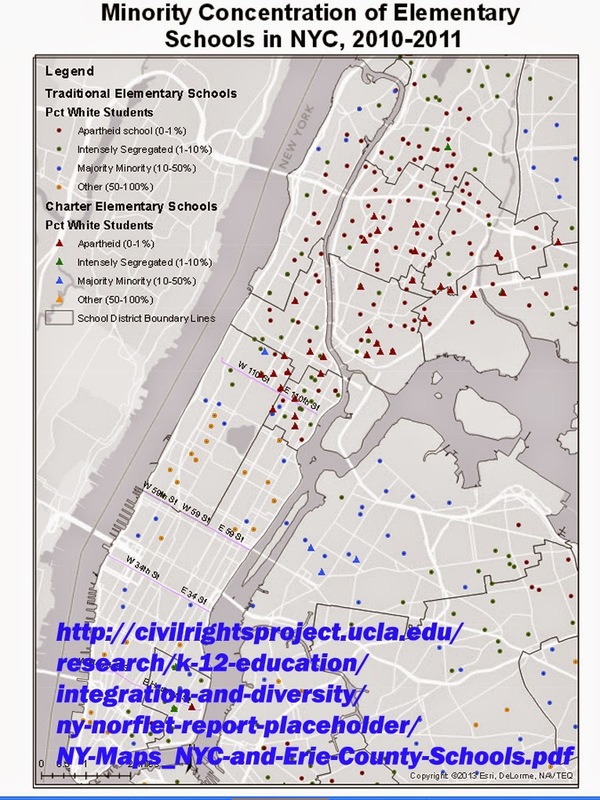 You can see the map in this article, titled "Location, location, location: Are top universities too far away from low-income high school graduates?" The maps for the article were drawn from this report, titled "Optimal Spatial Distribution of Colleges" which includes similar maps for all 50 US states. Illinois is on page 42. 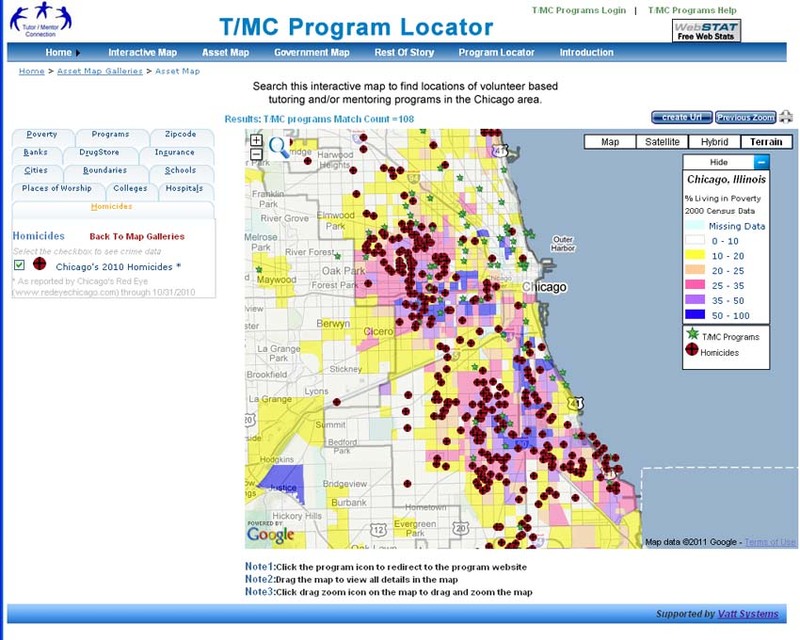 In this 2008 Mapping for Justice article you can see that the Tutor/Mentor Connection has consistently used maps to encourage colleges and hospitals to build strategies that support the growth of mentor-rich non-school programs in the neighborhoods where they are locate. This article on the Tutor/Mentor Institute blog has the same goal. 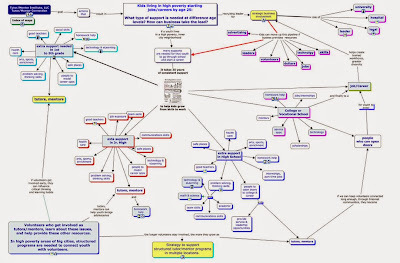 Since October 2014 I've been posting articles showing uses of concept maps. They are a different form of information visualization than the geographic maps posted since 2008. The map at the left shows intermediary organizations who focus on the well-being of youth in the Chicago region. 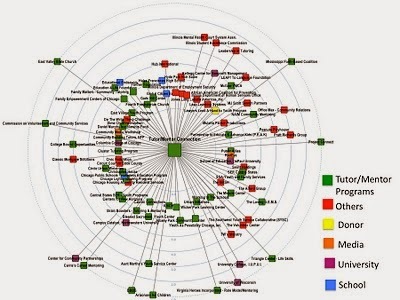 Some of the nodes are empty, such as ones focused on "business, universities, philanthropy and faith networks". 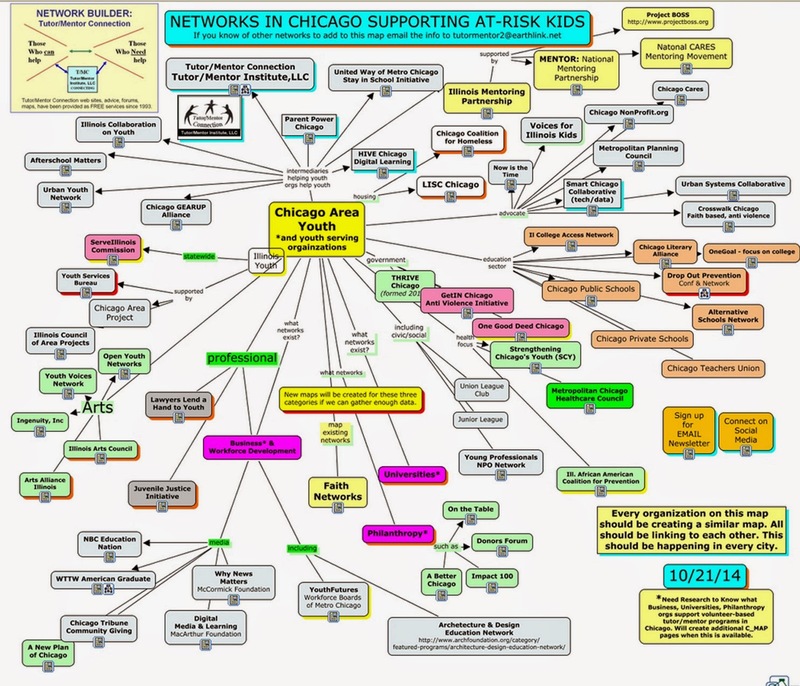 What this means is that someone needs to build a similar concept map, showing what organizations within these categories are doing to support programs helping youth in different parts of the Chicago region. 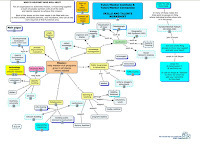 Most of the nodes on the concept map have links to the organizational web site. I encourage readers to look at each web site to see what they are doing, and to offer your support if possible. 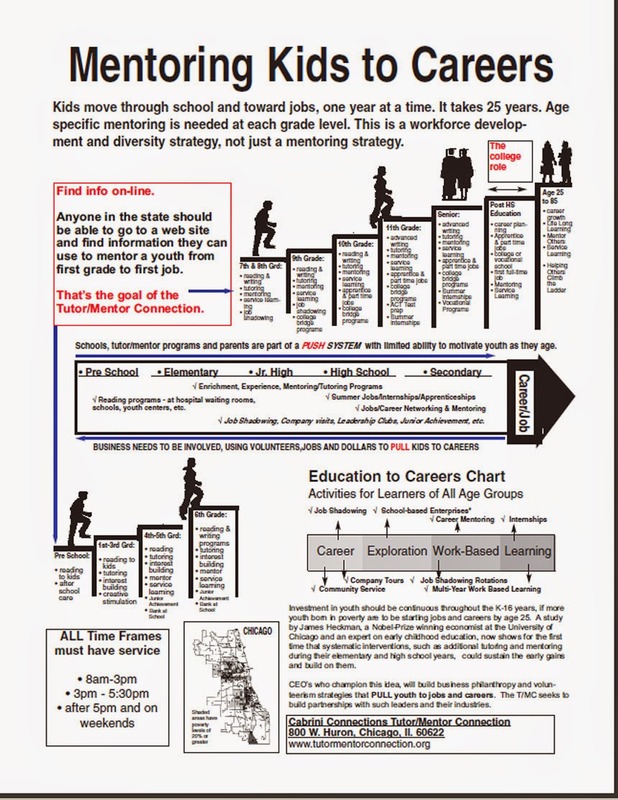 As you do, look for visualizations that show a commitment to helping youth move through school and into jobs and careers, such as mine at the right. If a growing percent of all of the intermediaries focusing on youth shared the same broad goal, each could then define their own focus area, such as making STEM programs available in non-school hours, or arts programs available during school day hours. 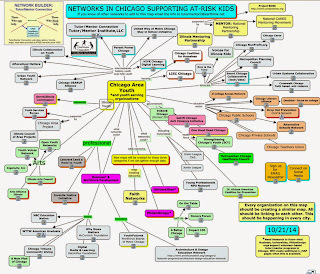 I'd also look to see if each intermediary has a resource section where they include maps like this, and where they point to others who are working to help youth in the region. At minimum they should point to a list of organizations within their own sphere of influence, like the Chicago tutor/mentor program list that I host. I created this graphic (see article) to illustrate a need to not only influence what service providers do to help youth, but to illustrate what resource providers need to do to assure that every service provider, and intermediary, has the talent, tools, dollars, etc. to do the work that needs to be done, and to keep doing it, and getting better, for many years. I feel this should be a shared goal, and responsibility, of every intermediary, and every service provider. If we're going to reach youth in every high poverty neighborhood with programs that help them move from first grade to adult roles, responsibilities and jobs and careers, we need to influence the distribution of resources and the growth of needed programs in all high poverty areas of the city and suburbs. I've hosted a Tutor/Mentor Leadership and Networking Conference in Chicago every six months since May 1994. I've invited leaders and staff of these intermediaries to attend, and to use the conference as a meeting place for their own networks, while also using the conference to help build visibility and draw needed resources to themselves, and to all of the organizations they support. If you look at names and organizations shown on conference attendee lists that I've used since 2007, or the conference maps that I've begun to create, you can see that there still is a great deal of work to be done to bring these groups together consistently. I recognize that it's possible that someone else is having more success bringing these groups together and has been doing so for the past 20 years. If so, I would hope they would have some maps and attendee lists that show who is attending their events. I'd also hope to receive an invitation, and have my web sites serve as a resource for all of them.